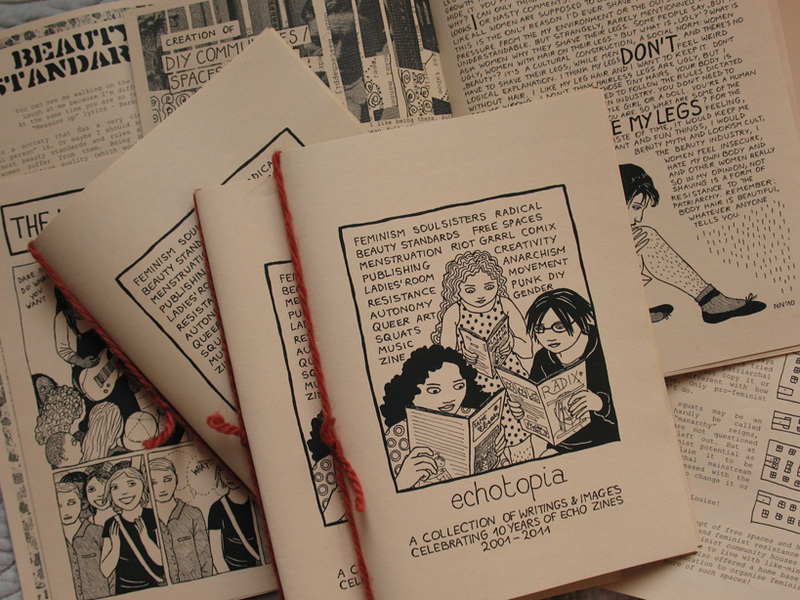 ← Echotopia zine… out soon! ECHO presents: Echotopia! A collection of writings and images, celebrating 10 years of ECHO zines 2001-2011. 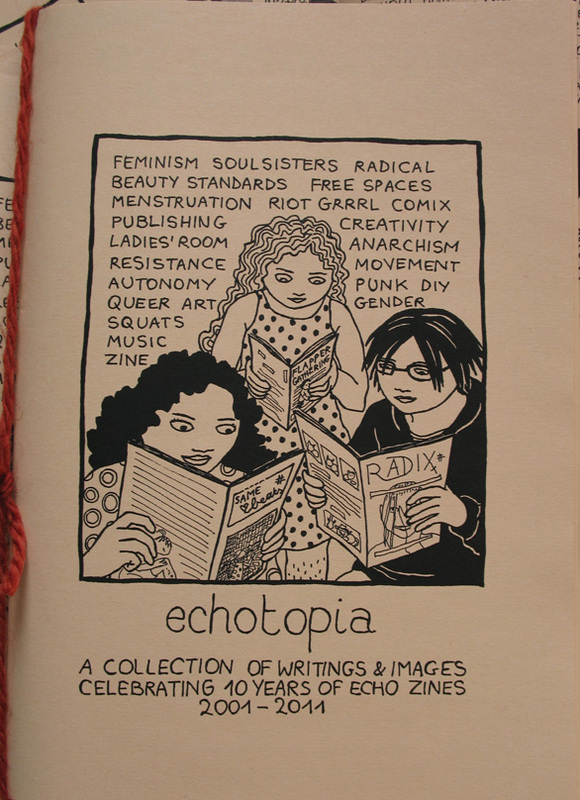 Echotopia is a zine compilation with drawings, comics and articles from Punk Feminist Mini Zine, Flapper Gathering, Same Heartbeats, Radix and Be All You Can Be. It includes pieces about sisterhood and friendship, radical menstruation, gender theory, punk girls, beauty standards, activist spaces and squats, self-publishing and zines, harassment and solidarity, and more! This entry was posted in News, Publication, Zine and tagged best of, collection, compilation, echo, echotopia, fanzine, new. Bookmark the permalink.